This is non HDR. 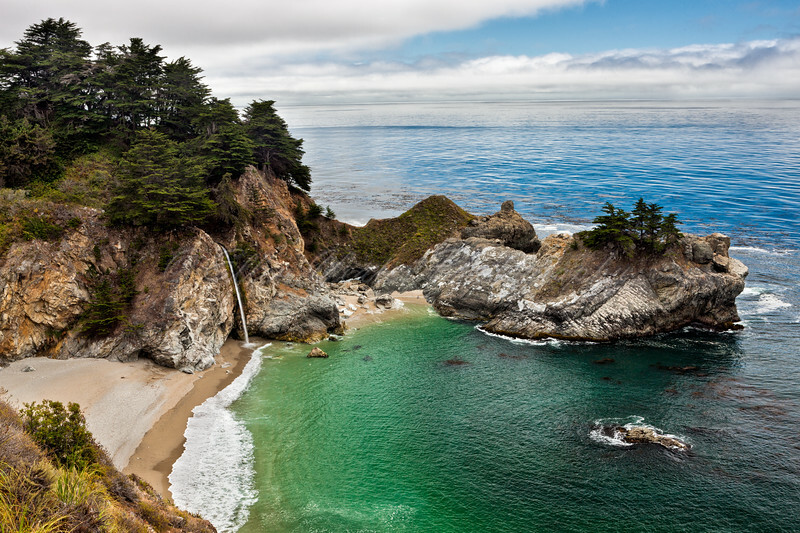 McWay Falls is an incredibly scenic waterfall. McWay Creek drops 80 ft. off a cliff onto the beach nestled in a pretty little cove. The overlook view of the cove where the waterfall drops, is stunning to say the least. Unfortunately, you cannot get down onto the scenic beach (legally), as the cliffs would be too crumbly and dangerous to descend.